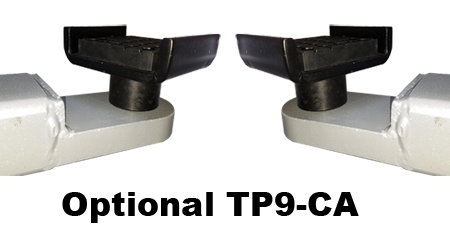 The TUXEDO TP9KAC-TUX 9,000 lb. 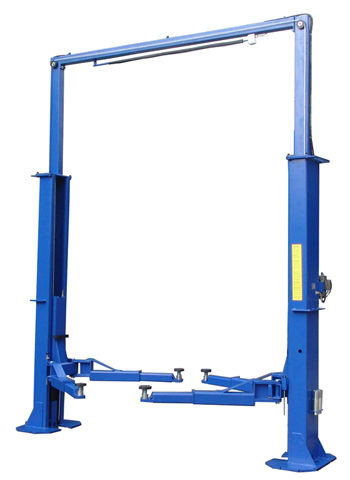 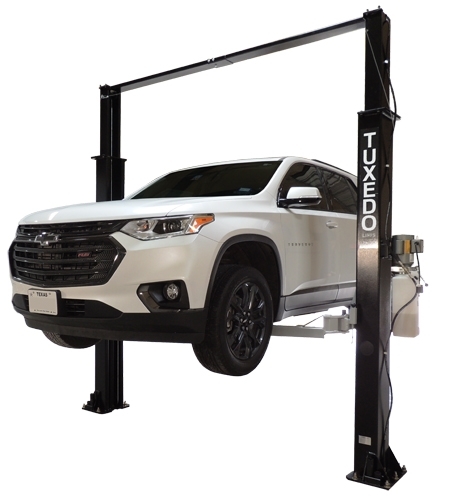 Light Duty Two Post Lift is an economy designed clear floor vehicle lift with standard lift features including: asymmetrical swing arms, low profile 4” lifting pads, stackable height adaptors, saddle pad adaptors and dual point carriage lock releases. 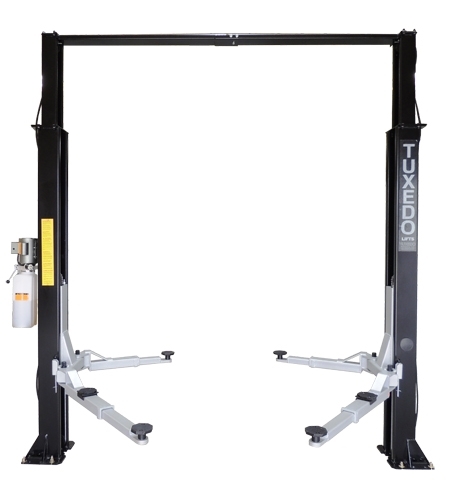 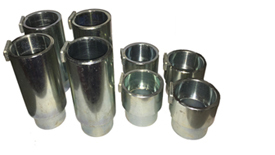 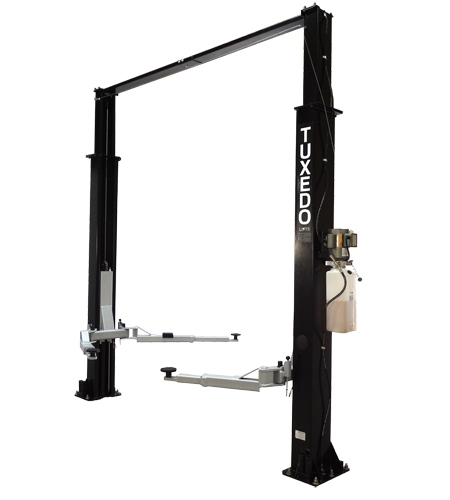 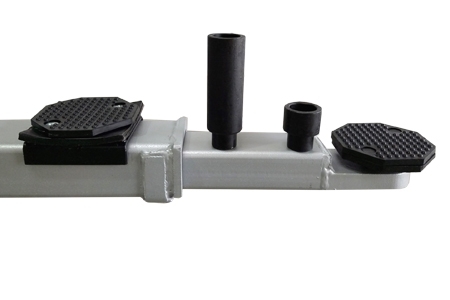 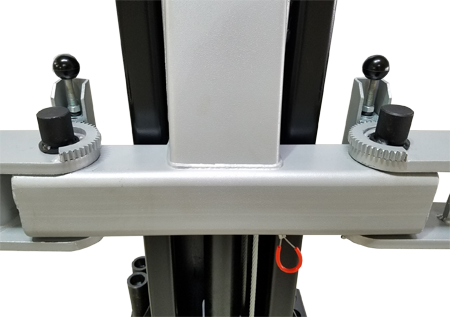 The one piece column combined with reliable chain drive cylinders makes it the perfect service lift for passenger cars, light duty trucks & most SUVs. 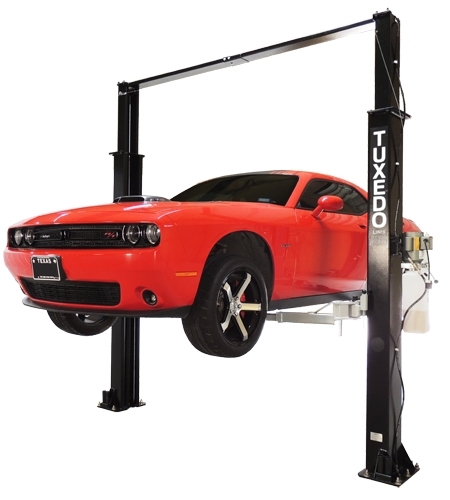 The automatic arm restraints and durable powder-coat finish provide an economically priced lift with all the features, all for a great value. 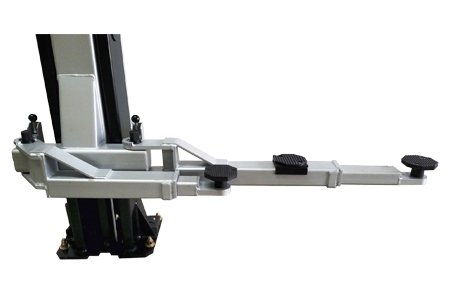 Long Arm Reach - Min/Max 28.5" - 41.4"
Short Arm Reach - Min/Max 37.1" - 57.2"